Having slipped your fiancé’s mind is not a happy event especially when it’s a permanent condition. In the world premiere of Nora Leahy’s dark comedy, If You Forget Me,her husband-to-be’s memory-disabling accident sends Kate running back to her childhood home to heal. There she must fend off her mother’s self-help pep talks, her sister’s efforts to move her “recovery” along, and an old boyfriend’s attempts to rekindle the flame. 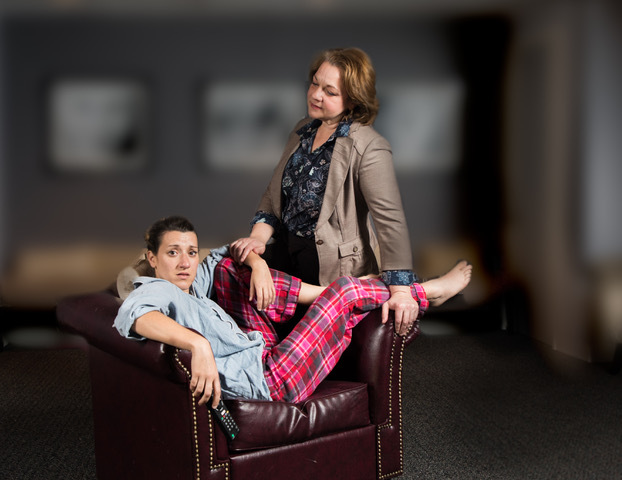 Directed by Lean Ensemble’s Sarah Newhouse, this new play is an exploration of growing up, the nature of memory, and the process of letting go. The show features ensemble members Libby Ricardo and Jenny Zmarzly along with Diego Colon and Tamara Todress who are making their Lean debuts. Inspired by the Academy Award-winning film and featuring the music of George and Ira Gershwin, An American in Paris is the story of World War II veteran Jerry Mulligan, who, hoping to build a new life, chooses newly-liberated Paris as the place to make a name for himself as a painter. But Jerry's life becomes complicated when he meets Lise, a young Parisian shop girl with her own secret - and realizes he is not her only suitor. Songs include “I Got Rhythm,” “Liza,” “'S Wonderful,” “But Not for Me,” “Stairway to Paradise” as well as beautiful romantic music including “An American In Paris.” Full priced tickets December 7-30 are $60 for adults and $47 for children ages 5-15. My name is Patti Maurer, and I am reaching out to you on behalf of the Arts & Cultural Council of Hilton Head (ACCHH). Currently we have a collective membership of 43 performing and visual arts organizations, along with museum and cultural entities, individual artists and arts professionals. As an established 501 (c) 3 organization, the ACCHH coordinates, promotes, communicates and showcases the arts and cultural entities of the Hilton Head region, for the purpose of creating an arts destination, enriching the quality of life and speaking with one voice on cultural issues. As a candidate running for Mayor of Hilton Head Island, the ACCHH respectfully requests your responses to three questions, which will be shared with our membership. Please note that our purpose for these questions is to keep the Arts, Culture, and History in the conversation, and not meant to endorse one candidate over another. We believe that this would be the most productive format to have the collective voices of the arts community heard and recognized by any and all of the future elected officials. Barry Ginn and Alan Perry did not respond to the questions. 1) What specific actions would you as our next Mayor, propose, support and implement to promote Arts, Culture and Heritage on Hilton Head Island? · Expanding the prominent marketing of the Island’s arts and culture both through the Chamber of Commerce’s Visitor and Convention Bureau and the Town’s new CuiltureHHI.org website and other marketing initiatives. · Continuing work to create a unique Island Cultural District and pursue the distinguished Cultural District designation from the SC Arts Commission. · Working with the cultural community to identify and highlight the economic impact on the community to maximize the impact of public funds to support cultural and arts assets. This includes continued ATAX support for existing and new cultural ventures. The arts are an integral part of our culture on Hilton Head Island. We need to promote and support our home as a vibrant cultural destination – a destination that inspires, that creates a sense of artistic excitement, and that enriches our diverse community. A) The DMO needs more direction and needs to increase its focus on our artists and art offerings. B) We need to continue to support Jennifer McEwen and our Office of Cultural Affairs. C) We need more art related festivals and we need to better integrate art into our existing festivals and events. D) We need more family oriented arts and culture events. our arts and cultural activities with residents and visitors. F) We need to find better ways to highlight the rich legacy of our historical arts and cultural heritage. G) Local leaders need to attend and vocally support arts events in our community. H) We should establish an annual Day for the Arts to celebrate the extraordinary artistic talent of our Island. I) We should obtain South Carolina arts commission cultural district status. variety of signature arts and cultural events to showcase our artistic talent to a broader audience. K ) And, we should formalize our arts and cultural partnerships with community schools. Plan and make these goals become reality in the next 4 years. As the only candidate that can be a full-time mayor for Hilton Head Island, I will devote my mayoral energy to make it my my mission for Hilton Head to become : “The Island of the Arts”. I am the only candidate who wants to be your mayor on a full-time basis. None of my opponents are willing to do that— my opponents only want to be your mayor on a part-time basis — this is not enough mayoral work-time to oversee a two billion dollar island economy. I will open a free public-art park, create teen arts internships and develop a series of classes and workshops featuring guests and local artists. As a full time mayor I will have an open-door policy for the artist to contact me for help to facilitate his or her needs. 2) Name ways in which the Town could use the Arts, Cultural, and Heritage organizations on the island as a tool to trigger the next wave of economic development in its pursuit to revitalize and modernize the economy? Our Arts and Cultural assets already contribute significantly to our Island economy, both by employment (spend) and ticket sales (revenue). As opportunities for arts and culture on the Island, expand so will their contribution to the economy. · Developing Mitchelville Freedom Park will allow it to offer more frequent on-site programming permitting their contribution to our economy to expand exponentially. The same will be true with the renovation of the Zion Cemetery and Banyard Mausoleum. · Working harder to keep our Island’s wonderful art galleries from moving to the mainland. Identifying HHI as a place to make and buy art will help to encourage the business of arts on the island. Attracting artists and artisans, musicians, etc. and by promoting HHI as a great place for artists to live and work by showing them the variety of our arts assets. · Using art to revitalize some of our Island’s vacant commercial buildings by turning them into art enclaves. Creating spaces for artists’ studios, galleries and maker-space is a perfect opportunity for helping the arts community support the local economy as well as keeping them part of our vibrant Island art culture. · Implementing more projects like the bicycle path cultural trail map to involve families in art. · Examining and implementing best practices used by other towns which have proven solutions to improving economic development as highlighted by organizations such as Art Place America or Americans for the Arts. benefit our economy – we must embrace the efforts that support this goal. I strongly believe that the island economy is not a problem . Our island economy is overheated and over-developed. Unrestrained development will turn us into another Myrtle beach before imploding on us, unless we put a growth moratorium on new development, both commercial and residential. Let’s not lose our vision of why we came here — tranquility! Overdevelopment is a bad thing, once something is built it is irreversible. Remember in economics, overgrowth is not a good thing. A growth moratorium is a win-win for all of us. It is good for the business community, since there is a shortage of labor. It is good for home values, because traffic problems will not worsen and the environmental beauty of our island will be preserved. Medical facilities and wellness centers will be exempt from the moratorium. Hilton Head Island has 193 restaurants, fifteen supermarkets, and countless other stores — it is obvious we are overdeveloped. Density: Hilton Head Island has 958 people per square mile, this is ten times the national average of 91. During the high season it swells to 3,600 people per square mile. Overwhelming? I think so. Have you had enough? The developers sold us a vision, now they are getting overly greedy. Stop the unnecessary over-development of our beautiful island. Instead, let’s put more into the arts it will STILL be good for our economy and it will good for our soul. I feel that plays, shows and movies would be a great start. People like entertainment. If we could market the Art and cultural center and the heritage organizations in a way where people would be intrigued to learn the history of the island and all that the heritage offers and where and how the culture has evolved then we should be able to benefit from this project.especially with the Arts, Cultural and Heritage organizations marketing events from Florida to North Carolina and out to Ohio about events. 3) How do you envision the Arts, Cultural and Heritage organizations playing an integral part in fostering a multi-dimensional community? More than 3000 of our citizens participated in an engaging visioning process to help guide the future of Hilton Head Island. This process helped us determine what we value, what are our greatest challenges, and most importantly what we aspire for our future. Now it is time to take this collective thinking and put it into action. We need to work hard to encourage community leadership, businesses and citizens to actively participate in implementing the vision strategies for our great future. Ensuring that Arts and Culture are a prominent part of that vision is vital to our future success. I will like to work with the ACCHH to experiment with direct democracy and it will be a creative effort to bring art and politics together . It will also increase our “Social Capital” that is lacking on Hilton Head Island . I believe that if people know more about this island and it’s heritage the island will be more respected. Once people realize that this island is rich in history and not just beautiful beaches and restaurants but history from stoney to seapines and the way we get along as a community the guests might want to follow suit. Not saying that they will but it is worth a try. I believe options and awareness will give our guests the best possible opportunity and experience while visiting our beautiful island. Thank You. 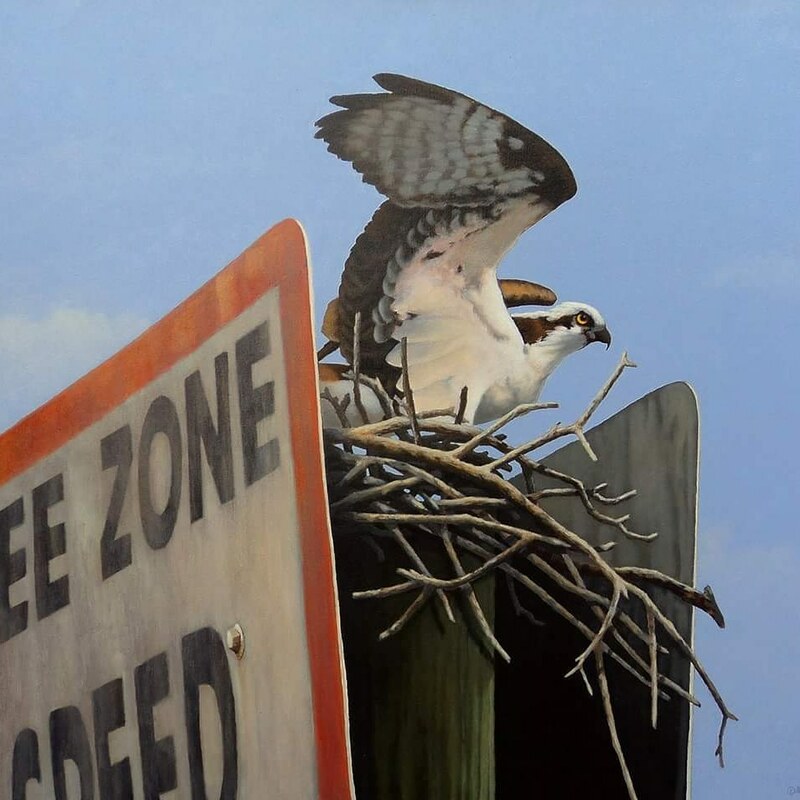 Hilton Head Island, SC – The Town of Hilton Head Island Office of Cultural Affairs announces the launch of The Artist’s Gallery at Town Hall, an initiative to celebrate the contributions made by Hilton Head Island’s art community to the Town. The gallery is being presented in partnership with the Arts and Cultural Council of Hilton Head and the opening is slated for the end of September in time for “Crescendo” a month long celebration of the arts on Hilton Head Island in October. “The Artist’s Gallery will be a public forum to highlight local artists, creating a space to showcase their work and an opportunity for our town to honor the important a role played by art in our community,” said Jennifer McEwen, Director of Cultural Affairs for the Town. “We are thrilled to create this platform to say thank you to island artists and share their talents with all who walk the halls of town hall, young and old.” With the gallery set directly outside Benjamin M. Racusin Council Chambers on the administration hallway, visiting officials, employees, and citizens will experience a welcoming and diverse display of art and culture from Hilton Head Island artists. Artists will be selected through a review process and will need to demonstrate high quality of work and show a clear artistic voice. Submissions will be accepted through the Arts and Cultural Council of Hilton Head Island and must include residence information, artist bio, headshot, and a visual representation of the piece for submission. An online application is available at hiltonheadartsdaily.org and any questions regarding the application process should be directed to Natalie Hefter at nhefter@coastaldiscovery.org. Pieces for the gallery will be selected through a juried process. The Selection Committee will be comprised of ACCHH members and personnel from the Town of Hilton Head Island. Members of the selection committee are not permitted to apply for entry for inclusion in the gallery. The Town of Hilton Head Office of Cultural Affairs works to promote and support Hilton Head Island as a vibrant cultural destination that enriches our diverse community. We strive for the island to be recognized as a vibrant & distinctive destination known for its unique arts & culture assets that serve a diverse community and create a richer quality of life. Arts & Cultural Council of Hilton Head coordinates, promotes, communicates and showcases the arts and cultural entities of the Hilton Head region, for the purpose of creating an arts destination, enriching the quality of life and speaking with one voice on cultural issues. Currently, the ACCHH consists of over three dozen members representing organizations large and small, individuals, writers, theaters, artists and more working together to highlight our rich cultural, historical, and artistic heritage. Crescendo is the annual Celebration of Arts, Culture and History on Hilton Head Island and in the Bluffton area. Sponsored by the Arts & Cultural Council of Hilton Head (ACCHH), this regional event, is organized in October in collaboration with National Arts and Humanities month, and highlights and showcases the vast array of arts, culture and history organizations, individual artists, performers, and authors residing and working in the Hilton Head/ Bluffton area.